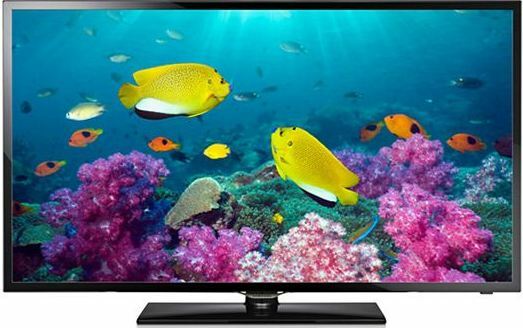 What are the Key features of Samsung F 7/8 Series SMART TV? Samsung Smart F Series TV came up with new and special features. The User Interface (UI) in F Series Models is the upgrade UI version named as Golden Bridge UI that makes it more interactive. There are Seven key features in Samsung Smart F Series TV. Smart Interaction 2.0 : You can Interact with TV by Voice and Gestures control. Smart HUB 2.0 : You can use your Smart HUB with easy user interface and also you can access more than thousand application. Screen Mirroring : Now you can share what's on your mobile with Smart TV without Internet Connection. Picture Quality : Micro dimming Ultimate option is available for excellent contrast. 3 D Auto Contrast is present there for 3 D depth picture viewing. Spellbinding Design : F series TV is designed with Path Breaking Stand and Glass Frame design. Speed and Multitasking : 1.3 GHz Quad Core processor that allows you to multitask 3 times faster than conventional TV. Convergence : With Smart View and AllShare Play you can enjoy your content sharing.